Welcome to Diggin Dust Heritage Hogs! 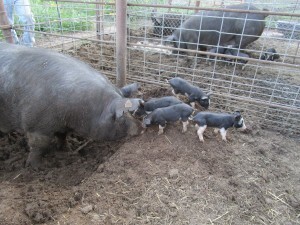 Diggin Dust Heritage Hogs is a small hog farm dedicated to raising happy and healthy heritage hogs. 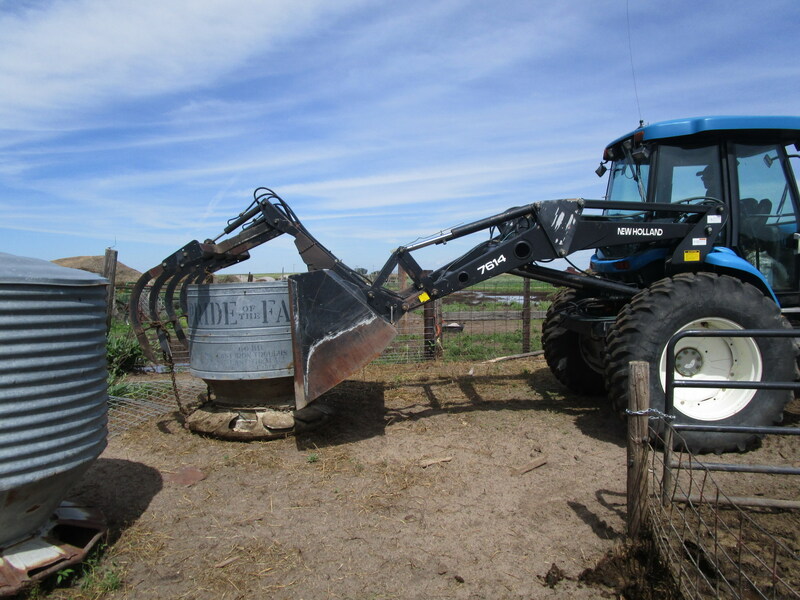 We are located in Cope, Colorado, and are dedicated to the principal of responsible farming. 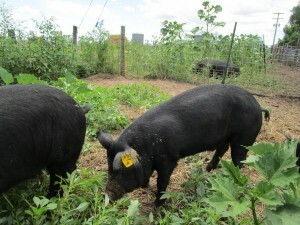 Our pigs enjoy the open air, a large pasture to graze and play in, and garner our full respect. 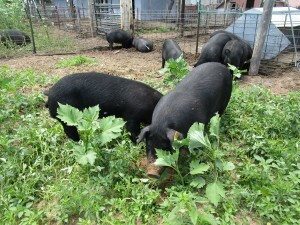 We raise registered Mulefoot hogs – the rarest swine breed in America, and registered Berkshires. We are a Global Animal Partnership GAP 3 farm, as well as a 100% Berkshire Farm. 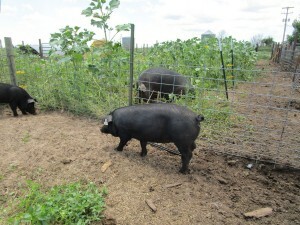 We appreciate our certifications, but still put all of our effort on raising our pigs as well as we possibly can. 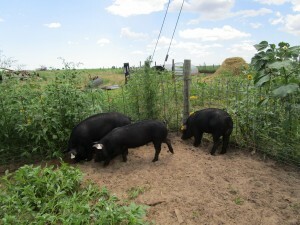 They are fed an all natural, vegetarian diet, sources from local eastern plains farms. We feel our attention to our pigs results in high-quality pork products. 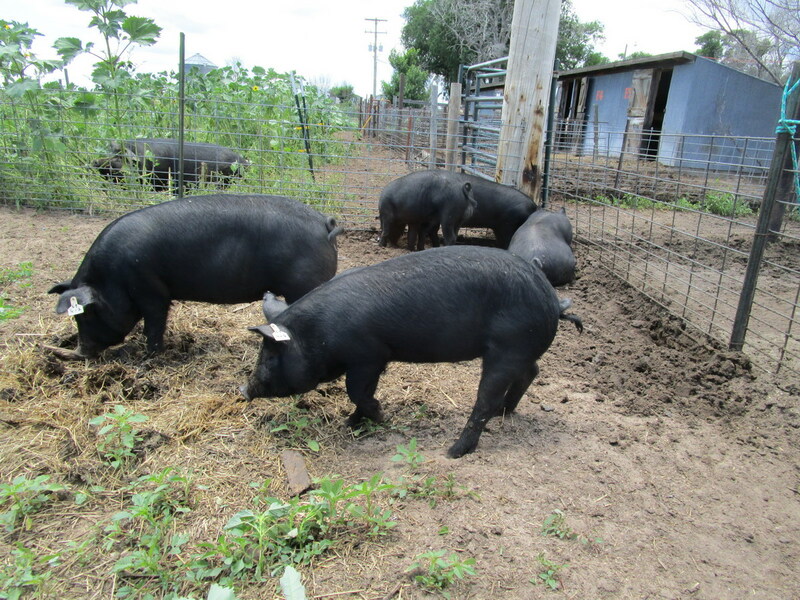 We sell our pigs to a national health-food chain, as well as a local, high-quality pork distributor. We also sell our pigs to breeders, as well as local farmers, and Colorado neighbors that appreciate our efforts to raise the highest quality pork possible. It is fair season! The end of July and beginning of August brings on the age old tradition of the county fair. Carnival rides, funnel cakes, exhibit halls, pie ribbons, tractor pulls, and, of course, livestock. 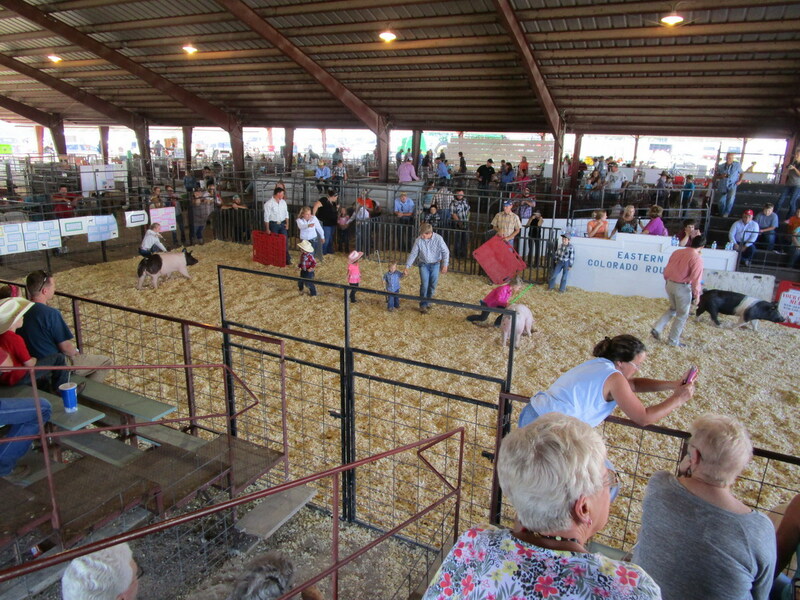 Of all my years of enjoying various county fairs, I had never taken in a Swine Show! I was feeling sorely left out of the fun, so this year, Dustin and I and our families, ventured to the Washington County Fair, in Akron, Colorado, and watched the 4H Swine Show. Sitting perched in the aluminum bleachers overlooking the show pen, we were all ready to experience the show. However, never having been to a swine show before, we had no idea what to expect. We hear the announcer calling the first group of kids – the older group first – to the staging area. 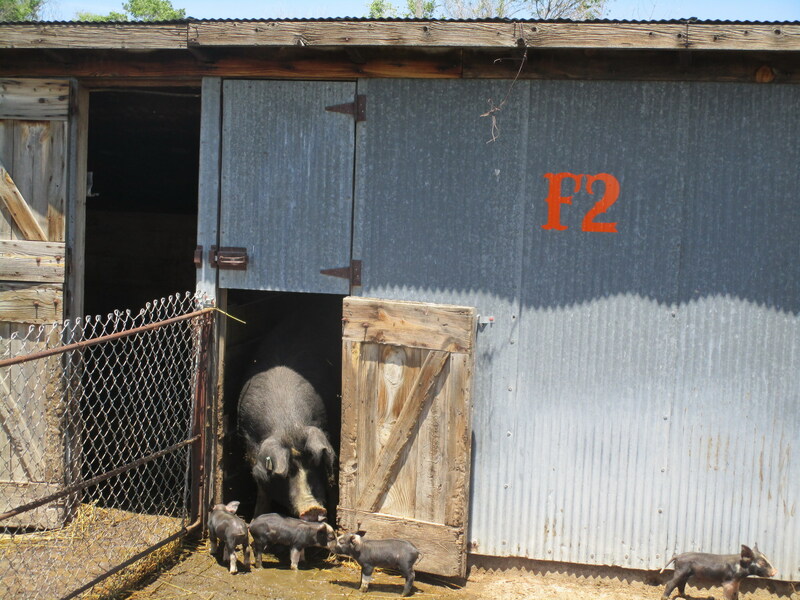 We see the kids load their pigs up in the staging pens. Then, one by one, they are let into the show arena. Then the questions start – what the heck are they doing?!?! The judge walked quietly around the center of the ring, squatting, standing, looking, judging. The kids came out with their 200+ pound oinkers and walked carefully behind and to the side of them, controlling them with little sticks. The kids kept one eye on the judge, and one on their pig. Luckily for us, there were some younger 4H kids sitting in front of us, waiting their turn to show. We bombarded them with a multitude of newbie questions. They were cute and tolerant of us, and willingly answered all our questions. Turns out this first round was simply the kids being judged as to how they handled their pigs. The judge didn’t care what the pig looked like, he was just analyzing the kids and their showmanship. 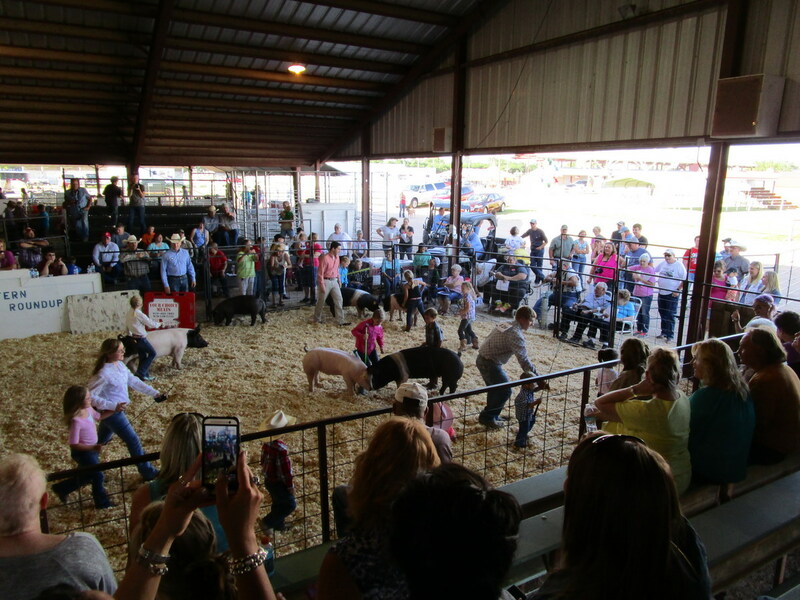 The kids needed to keep their pigs under control, keep them walking at a constant speed, towards the center of the ring, and watch the judge for instructions. This went on for a little while, until the judge slowly started ejecting the kids one by one. He kept a couple out, then declared the champion and reserve champion of that group. He then went on to explain what he saw, and why he judged the way he did. As the afternoon went on, more groups of kids came out, each set younger than the previous. By far, the cutest event was the pee-wee group! They were adorable in their little farmer outfits, sticks and pigs way bigger than them, all trying their best to do what the big kids were doing. The later rounds were the actual swine judging. The judge was very verbose on why he selected each pig as the best. Very verbose. I never thought a pig could be explained in so many different ways. He reminded me of a good color commentator in any sports broadcast, finding new and exciting ways to tell you basically the same thing he had just said moments ago. We stayed through countless rounds until all the champions and reserve champions were announced. We had a lot of fun watching all of the kids work so hard with their animals. 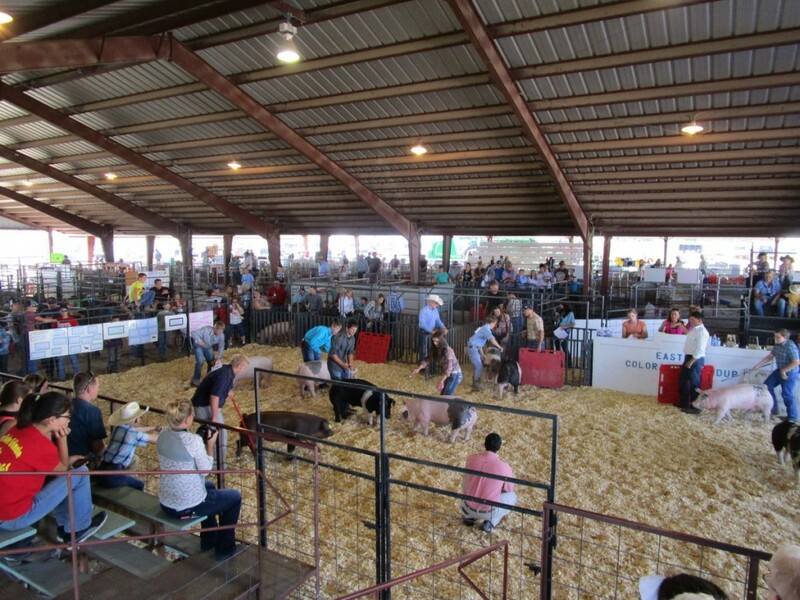 We saw the months of work and preparation that went in to their one night of fame in the swine show ring. It was nice to see them care so much for their pigs, and treat them respectfully, even when the pigs were not being so agreeable. We had a great time! I was a little sad the fair wasn’t officially open, so I missed out on a corn dog, but other than that… 10/10 would do it again! We sent the grower Mulefoots across the scale yesterday, and they did great. It usually takes a few times across the scale for them to figure it out, and for them to easily move across it. The issue we normally have when weighing is getting them to stand still to get a weight to read out. Once they are on it, they see their friends in the holding pen and want to go out with them! Usually they chill in a minute or so. Sometimes it takes a bit more patience. All of these American Mulefoots are for sale! Please let us know if you are interested in reserving one for grow-out, or if you would like to pick one up today! P1 – Thomas – Male – 145 Days Old – 140 lbs. P2 – Mark – Male – 145 Days Old – 112 lbs. LY 4-5 – Gilt – 134 Days Old – 119 lbs. 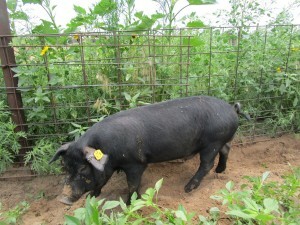 LY 4-2 – Gilt – 134 Days Old – 121 lbs. LY 4-6 – Gilt – 134 Days Old – 80 lbs. 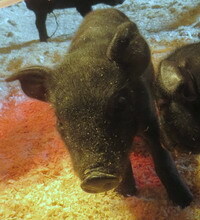 LY 4-3 – Gilt – 134 Days Old – 96 lbs. LY 4-4 – Male – 134 Days Old – 116 lbs. LY 4-1 – Male – 134 Days Old – 100 lbs. We haven’t told very many people, but for the last week or so, we have been organizing and cleaning up the farm, preparing for a film crew to come out next week! 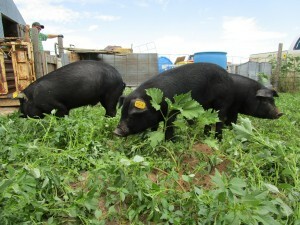 We don’t have a lot of info, but our friends at Tender Belly asked us if we wanted to be in a segment about Colorado pig farming! What we do know is that we are scheduled to have the film crew out here next week. We will release more information as we get it. 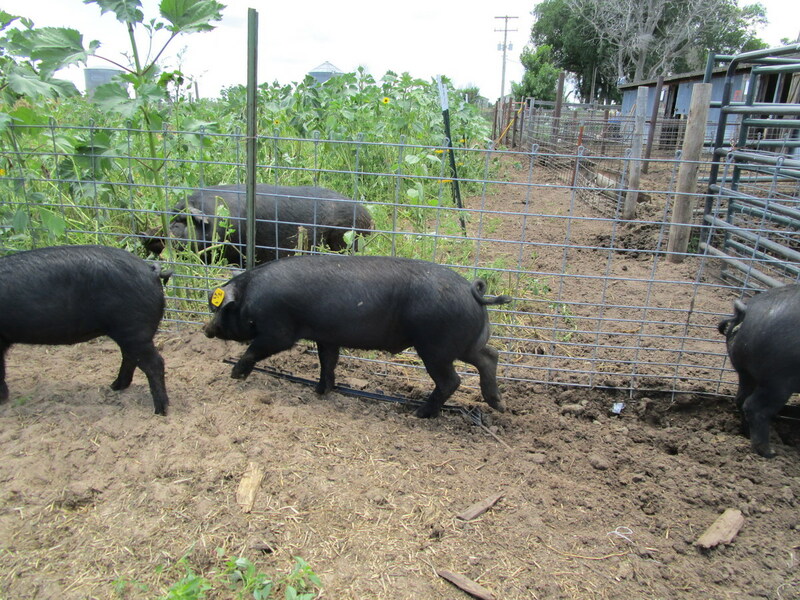 We are thrilled that we will be able to show our farm to the viewing public, and show that there is a difference between the way we raise pigs and what is common in the industry. 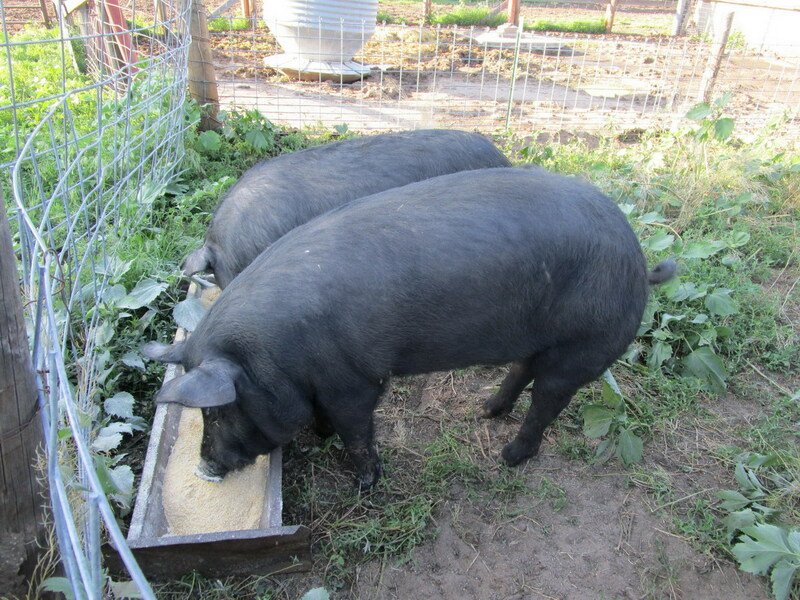 A little about us: we are two registered Mulefoot boars, born on 09/17/2014. We have lived the good life here on the Diggin Dust Heritage Hog farm. We have lots of room to wander around, eat a very high-quality diet of locally produced feed, and enjoy gnawing on plants and lounging in mud. What we are looking for: we have enjoyed our time at DDHH, but it is time for us to hook up with a female or two. Sow (experienced lady looking to teach us first-timers) or gilt (a little clumsy, like ourselves, but we will figure it out), we are not particular. We would pair up well with another registered Mulefoot, and continue to grow our kind, or we would be equally happy with another flavor. We have seen some pen-neighbors – a Mulefoot boar and a Berkshire sow – do their thing and their offspring were beautiful! Do we sound interesting? Let’s hook up! We are located in the eastern plains of Colorado, in Cope. We can send more pictures if you can’t see enough of our handsome selves here! One of the joys of being farmers is trying to make the old new again. It would be nice to be able to always buy new things for our farm, but that isn’t really possible. Our farm itself is an old thing. It was built in the ’30s or ’40s, and Dust and I renovated it after it sat dormant for almost 30 years. There were weeds up to our shoulders, water that hadn’t been turned on for decades, pens that hadn’t been used for years. It took a lot of work, and still does every day. But using things from the past, and making them work for the present, is rewarding. Our latest project was to revitalize an old feeder we picked up for free! We put it into service for a while, but it needed some love after a few months of use. We pulled it out of one of the pens – which didn’t make the pigs real happy. But, a few hours, and it was back in action. A little banging, some cutting, and a lot of cleaning later, it was back in the pen. The Mulefoots welcomed it back oinkingly! 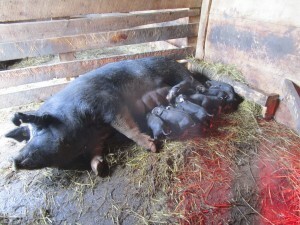 New Piglets on the Farm! June 21, 2015 / Kev / Comments Off on New Piglets on the Farm! New pigs on the farm! We had two mommas farrow in the past week, and one more any moment now. 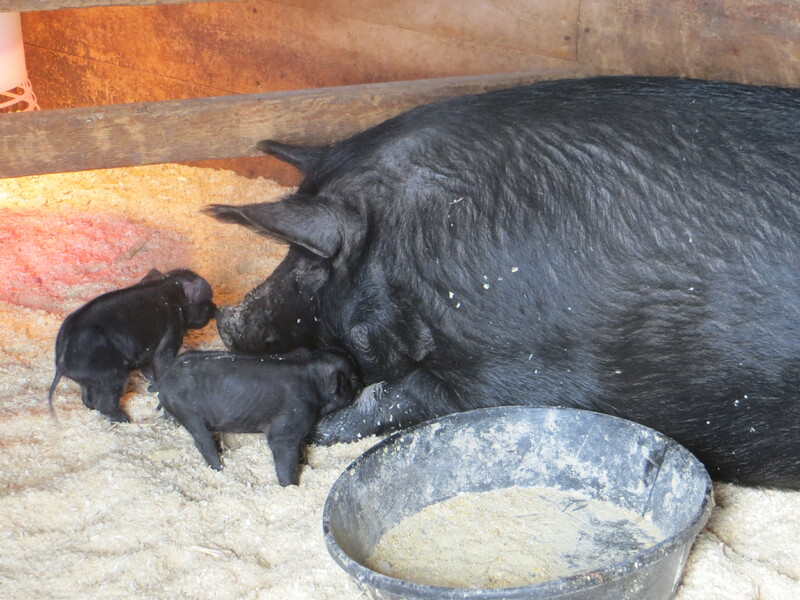 They are healthy and happy little piglets! 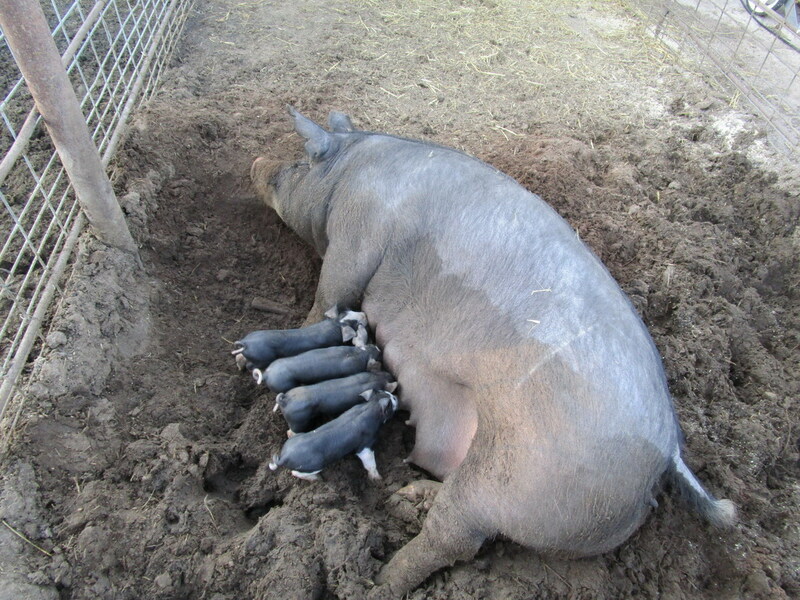 These are the second litters from these mommas, and they are doing great with the babies. 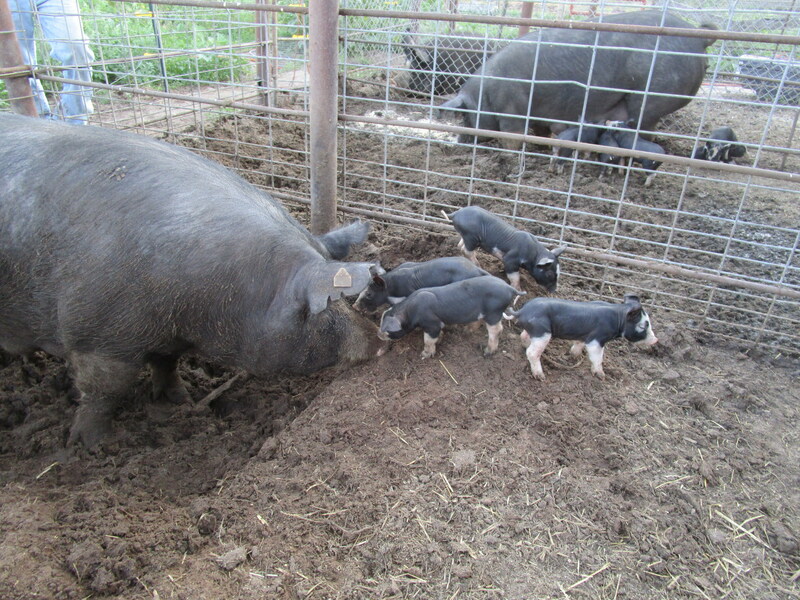 The piglets are almost six weeks old! They are growning quickly, and they are very active. I dropped a bucket into the pen the other day and they loved playing with it. What is a Mulefoot Pig? 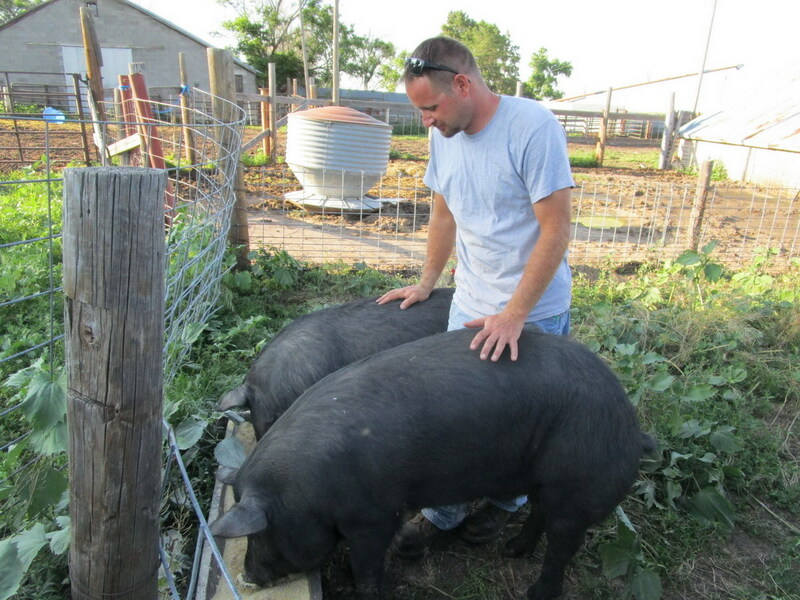 April 2, 2014 / Kev / Comments Off on What is a Mulefoot Pig? Today, the Mulefoot is the rarest of American swine breeds.The most distinctive feature of the American Mulefoot hog is the solid hoof which resembles that of a mule. The Mulefoot is a large docile, black hog with sows weighing 250-400 pounds, boars 350-600 pounds. The American Mulefoot has a documented population with a breed standard and a long history of agricultural use. This breed is unique to the United States and is critically rare. Recent events, however, have led to more optimism regarding its survival. 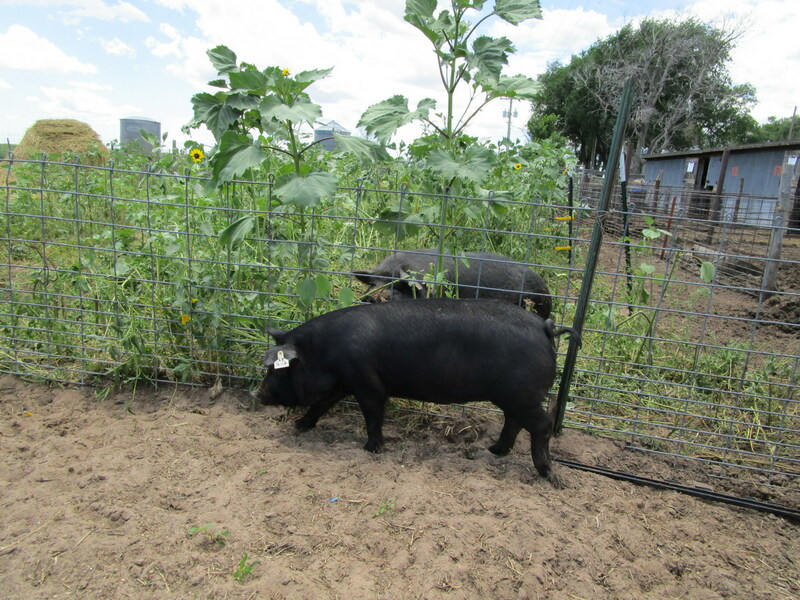 The Mulefoot Pig and other heritage breeds thrive and are a hardy breed. Unlike the commercial breeds of today. They do not fit the description of “delicate”, thus are perfect as a farm addition. Without farms like Diggin Dust Heritage Hogs, the Mulefoot could become an extinct breed. Creating a market for the Mulefoot has increased its numbers, and will guarantee that the Mulefoot will be prolific and hopefully come back in record numbers in the near future.